Beautiful handspun singles spun on vintage Timbertops double flyer chair wheel inspired by colours of the sea and Mushroom Soft Coral. 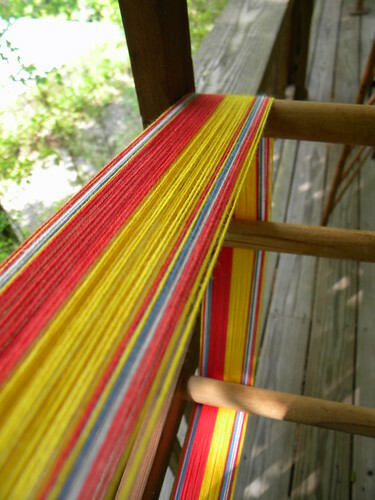 The Sunna Double Slotted Rigid Heddle is unique in that it allows the 13 pattern threads to remain in the center of the warp opening whether the heddle is in the up or down position. 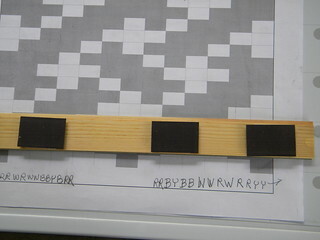 This allows the weaver to easily pick-up pattern “picks”. I designed a “tape” or “band” with a picked celtic pattern in yellow on red in the center or the band with a blue, white, yellow and red narrow pattern on each edge. First I warped the planned design. At first I used a yellow weft thread but I didn’t like the speckled yellow on red background so I switched to red weft. All the thread is 8/2 cotton but I doubled the design threads, treating them as a single thread. 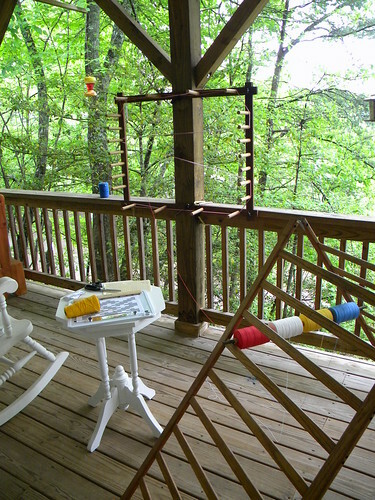 To manage the thread while I warped, I borrowed a iron rod from the apron of my 4/4 floor loom and spread it between the runs of the sides of an old oak babby crib that I’ve repurposed as a drying rack. 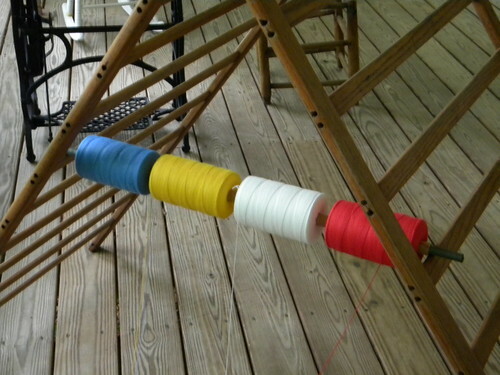 I spread the sides to better accomodate the spools of thread. 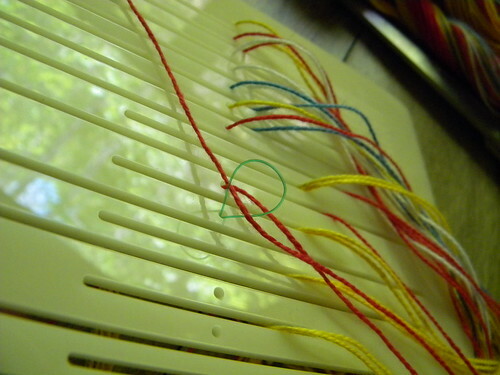 The heddle was threaded; pattern threads in the short slots. 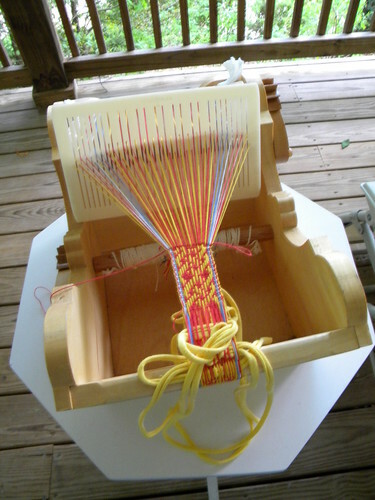 I used a Stoorstalka threader which I loved to thread the heddle. My only complaint, lost one (threader) to the carpet. Despite getting on hands and kneeds, still haven’t found it. 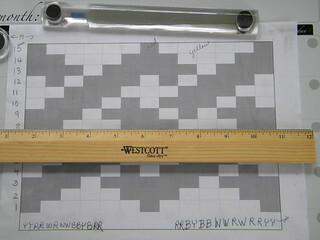 To follow the pattern while I wove, I used a ruler with sticky magnets attached to the reverese. Used a dollar store metal message board and the ruler to move along easily and without worring if pattern would float away. 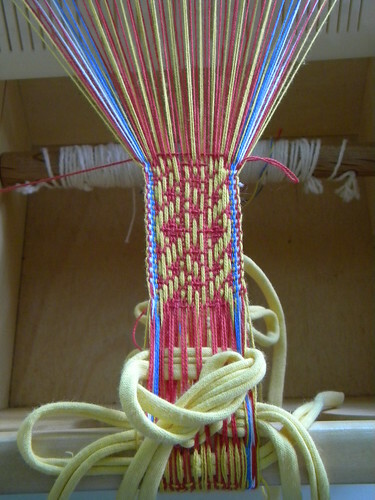 Wound the threads onto the cradle loom and began weaving. 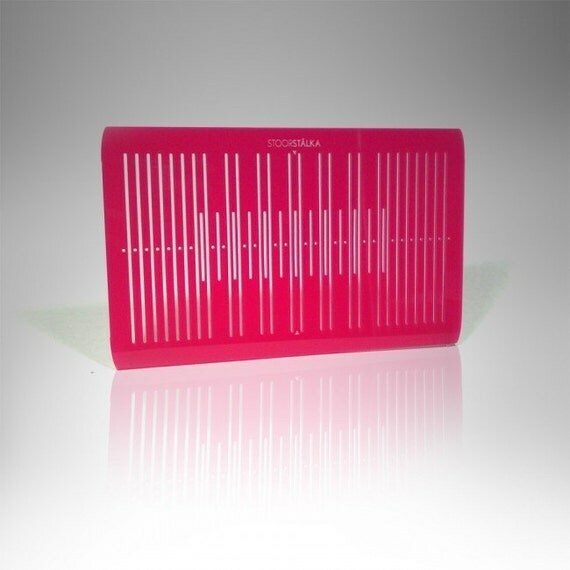 What a joy … The Suynna is truely linnovative and a delight to use! 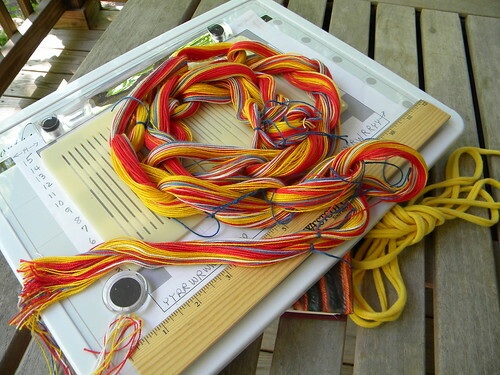 Was a tad too large for the cradle loom, but workable. Great deal (FREE SHIPPING) for purchases through my Etsy site for a limited time. Deal applies to NEW Schacht Spindle Floor Looms ordered between 4/23/2013 and 5/17/2013. For details, visit my Etsy site HERE. Be watching this blog where we’ll be reviewing and demonstrating accessories for rigid heddle weaving and tape/band loom weaving. Announcing that nifty new threaders have been added to the Etsy store. While the Stoorstalka threaders that come 5 to a pack are perfect for double-slotted rigid heddles (LOL all those tiny holes) they work great for all rigid heddle application. The stiff thread is easy to thread and is kind to the yarn fiber. Very excited to announce, a sweet shipment is on it’s way from Sweden. 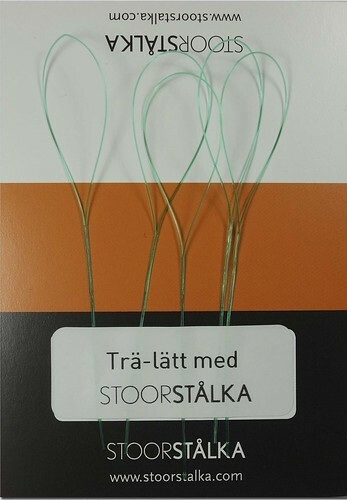 I’m now a distributor for Stoorstalka providing band – inkle – tape – rigid heddle loom weavers supplies. Below is a sampling of what I’ll be selling here in the states. More will be added to the Etsy site as fast as my little fingers can add them.Visit the Seabreezespinner’s Etsy Store to make your purchase. (double click on photos for larger image) I took Spin-In magazine’s challenge to recycle outdated knitted items from your closet or thrift store finds. The sweater I choose was a closet find … “What was I thinking” … shoulder pads and all. The sweater was a wool, mohair, nylon blend. 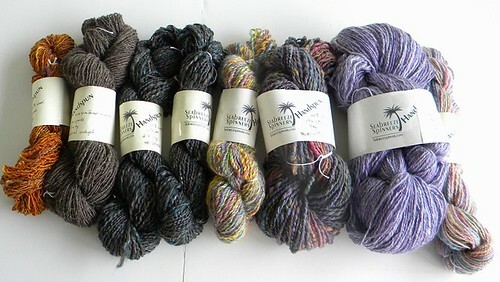 I’m thinking sock yarn. First, look for a sweater that has chain stitch holding the seams; the type seams that seal potato sacks and dog food bags. Once the seams were separated, I unraveled the knit and balled up the yarn. You’ll notice in the photo a mix of beads. 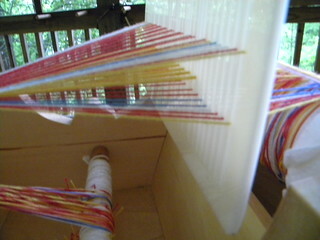 I threaded one stand of fiber with mixed beads which would later be spun into the yarn. 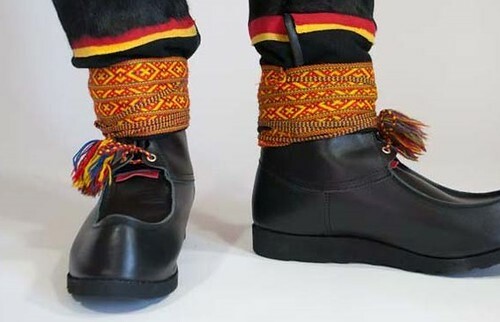 I’m thinking a little bit a beads on the sock tops. Then I spun a two ply yarn on my Timbertops chair wheel. 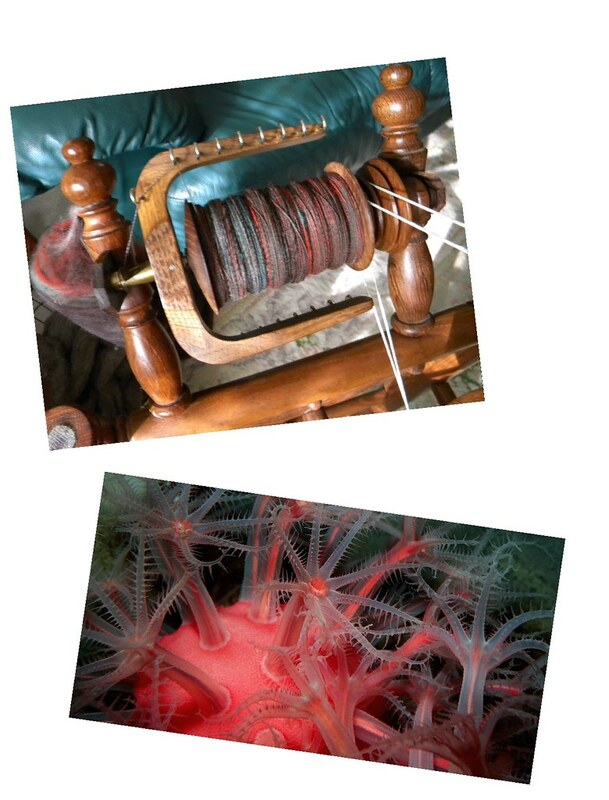 The first yarn was skeined onto a sample niddy noddy. 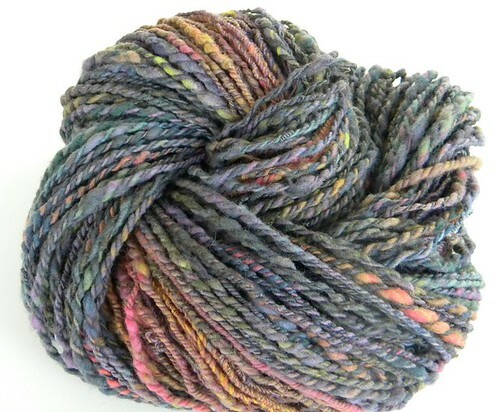 The first spun will be mailed off to Spin-In in answer to the challenge, the rest, socks …. Found a detailed tutorial on-line HERE at craftsylish blog. I’ve had inquires regarding my homespun yarn so I’ve begun listing it on Etsy HERE along with Rick Reeves orifice hooks/threaders.